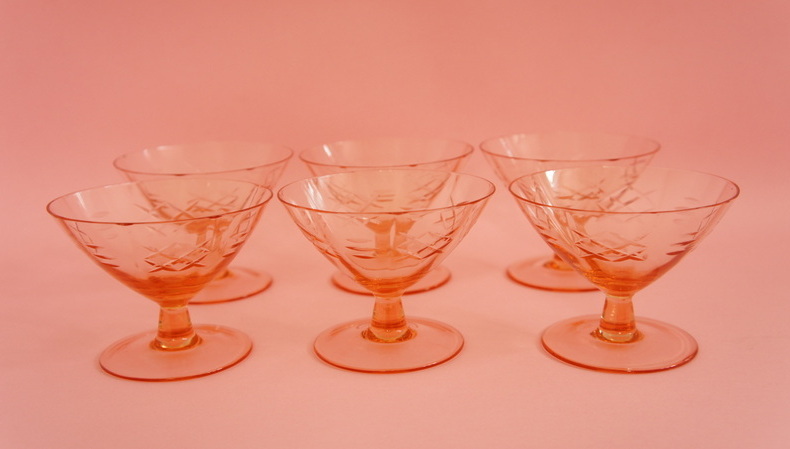 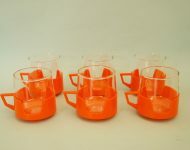 These are the prettiest little sherbet glasses! 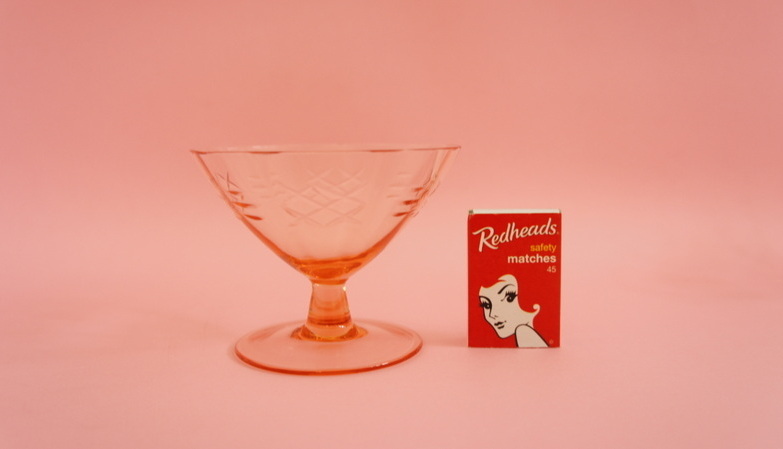 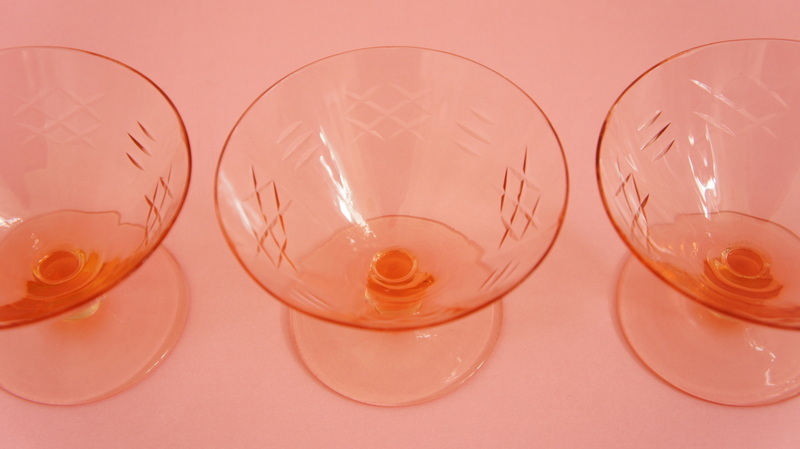 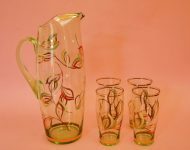 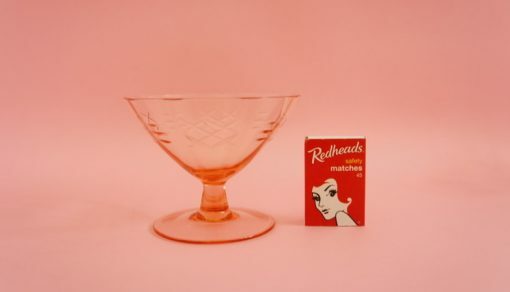 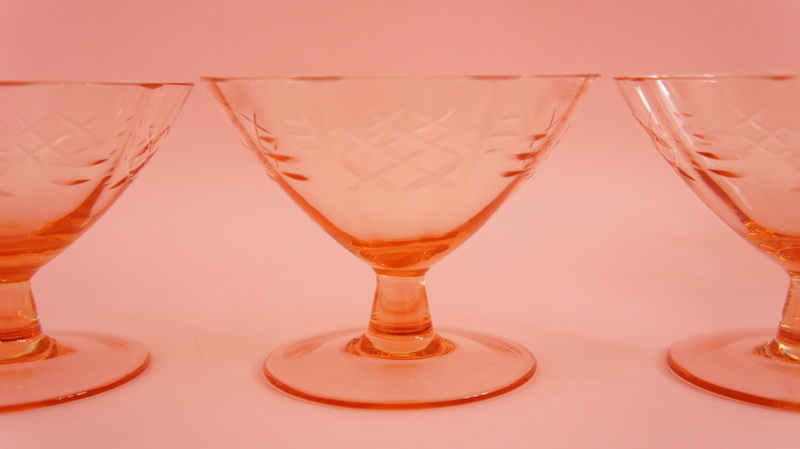 I love the pink glass – so pretty! – and the delicate pattern that’s been cut into the bowls. 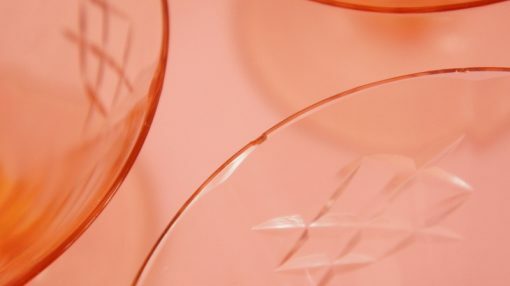 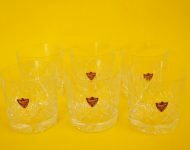 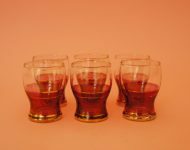 Even the rim of the glasses is finished with beautifully cut angles, which fortunately help to disguise the fact that two of the glasses have a few fleabite chips. 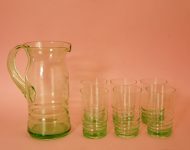 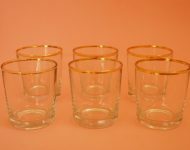 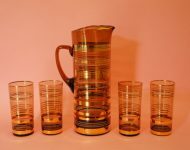 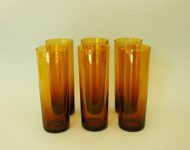 But I don’t think that’s that surprising given their age – I’m pretty sure that these glasses dates to the art deco period, which was a good sixty to eighty years ago now, depending whether we’re talking about the early or late art deco period. 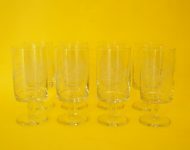 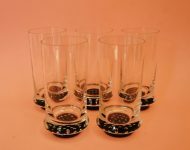 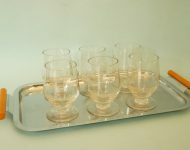 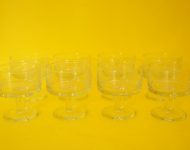 Very pretty glassses that would be great for a fancy dessert, but could also be used to serve cocktails.